Shows to see for a real Montrealer summer: TOP 3! Vice & Vertu by the Montrealer circus company, Les 7 doigts de la main. The entire show, consistent with the city, is quite bilingual. Beginnings in the first room can seems like a long time as it is not like a traditional show with seating positions and so you could not see everything as there are different scenes around the room. But artists go everywhere and could interact with you. 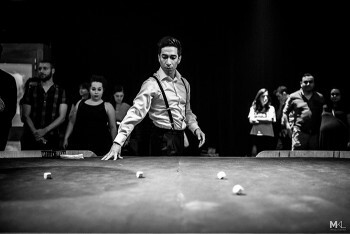 You feel like part of the show, a real immersion in the 40’s, so put on your 1940s attire! After the first part, public is divided to attend to other scenes. The scene in the digital vault of the SAT is… the nail of the show! 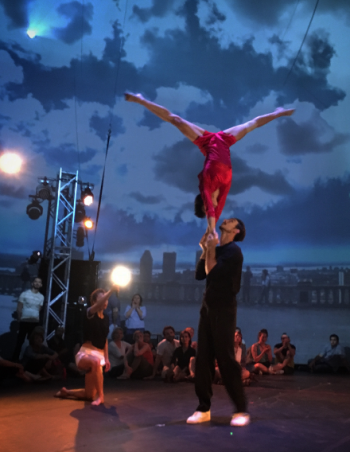 It is here that you will have a 360° overview of Montreal with impressive acrobatics: circus at its best! For the outside scene, you could see that the virtual and the real merge! But we won’t say more… Just go! … Don’t forget your disguise. Ticketing is here! The show is in 2 parts. During the first one, you will have a non-ordinary tour with a path of lights, revealing Basilica’s wealth of exquisite works. Then, you will sit and enjoy the immersive and captivating show. Let yourself to be transported by AURA and discover an unexpected, stunning universe presented upon one of the most sublime canvases imaginable: the Notre-Dame Basilica. Avudo, or Saint-Lawrence river enlighten! 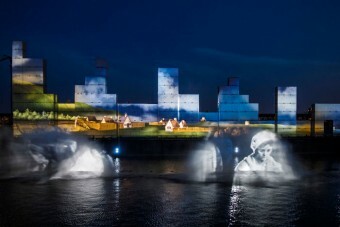 Created for the Montreal 375th anniversary, this spectacular show pays tribute to the St. Lawrence River will come to life with enormous projections inspired the city’s history. 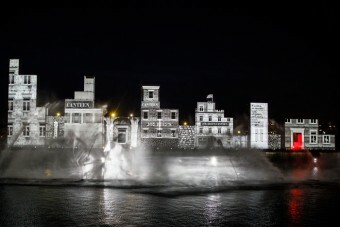 We loved the superimpose archive images, original documents, illustrations and 3D animations projected on rippling water walls and the 94 shipping containers settled for the show. We also loved the reuse of the Conveyor Tower. The latest is one of the last building with the Silo n°5 still existing icon of the Old-Port. Have a nice show, have a beautiful Montreal’s history telling! For sure we came with a selection of 3 shows, but there is a plethora of shows in Montreal! Festivals, concerts, activities, … You should see or do something. Pretty sure you will miss time instead of shows and opportunities! Whatever there are, enjoy! This entry was posted in Uncategorised and tagged Aura, avudo, Circus, festivals, heritage, History, Montréal, Old-Montreal, Old-port, show, Sound and light, summer, the 7 fingers. Bookmark the permalink.